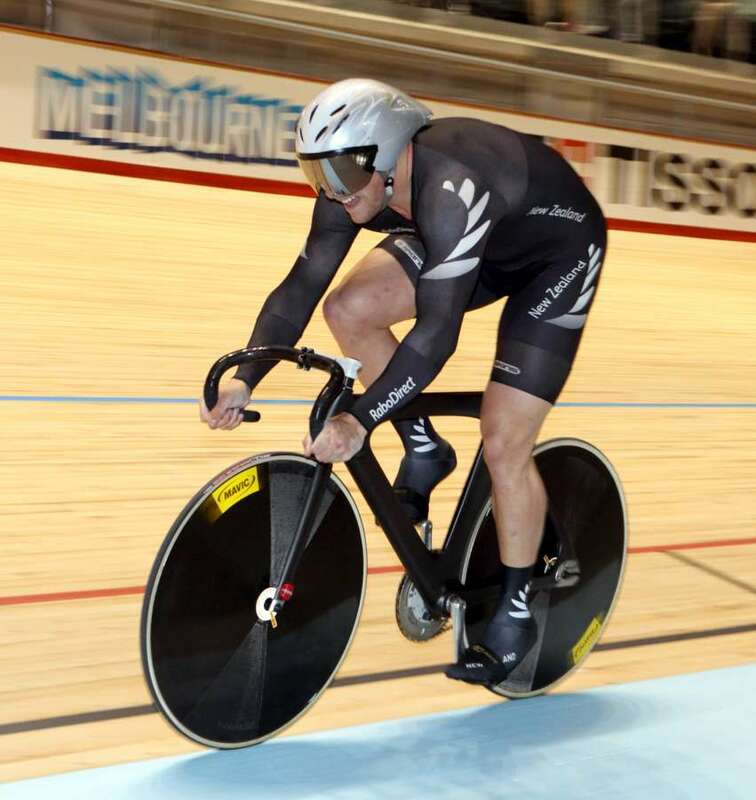 Kiwi sprinters Eddie Dawkins and Simon van Velthooven have carried their strong form in Europe on to success at the first day of the international track cycling series in Adelaide. Dawkins has won the keirin with the Olympic medallist van Velthooven third as they shut the Australians off of the podium at the Adelaide Super-Drome last night. The BikeNZ contingent are competing in five days of UCI Tier One competition which carries qualifying points for upcoming World Cup events, which in turn qualify riders and teams for the World Championships. Timaru rider Shane Archbold, currently contracted to the UCI Pro Continental road team An Post Sean Kelly in Europe, returned to the track with success to lead the men’s omnium competition after the first of two days. Dawkins, who turns 24 today, was in impressive form. He won his stacked heat that included compatriot Matt Archibald and Ethan Mitchell, who both missed out in the repechage. The big Southland rider dominated the final to finish clear of Malaysia’s Josiah Ng and van Velthooven, who had won his heat against five Australians. Archbold, in his first track competition since the London Olympics, was second in the flying lap in 13.499s, third in the points race and he won the elimination over compatriot Pieter Bulling (Invercargill), who is part of the BikeNZ endurance track squad based in Europe. That leaves Archbold clear at the top after three events on six points ahead of Australians Alex Edmondson on eight and Scott Law 15 while Bulling is fifth on 18 points. Mid-Canterbury cyclist Lauren Ellis and fellow Olympian Jaime Nielsen are in third and fifth positions respectively in the women’s omnium. Ellis (Hinds) was third in the flying lap and elimination and fourth in the points race to be on 10 points behind Australian Isabelle King who won all three opening day disciplines. Dunedin’s Katie Schofield finished ninth in the women’s keirin won by Hong Kong’s Wai Sze Lee over Olympic sprint gold medallist Anna Meares. Today’s action features the final three events in the omnium, men’s and women’s sprint and junior endurance events. CAPTION: Eddie Dawkins in action at the 2012 World Championships.